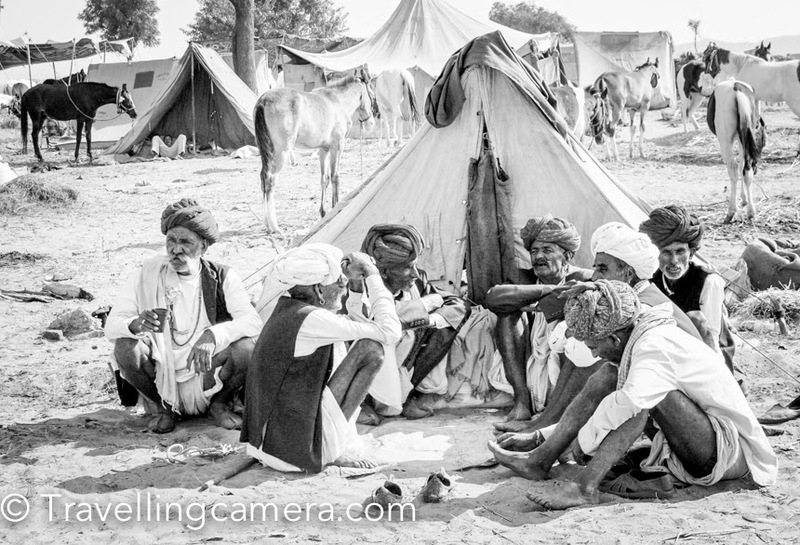 7 years ago when I started learning and practicing Photography seriously, I planned to visit Pushkar Camel Fair. 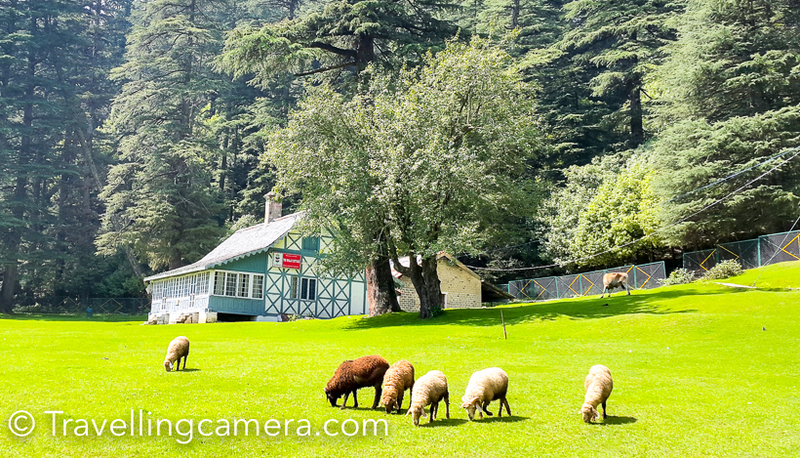 It is a great place to be if you want to shoot diverse subjects - people, everyday action, games, camels, colorful dresses, dance performances, trades, mela, temples, lake, and lot more. The place is definitely worth exploring at least once and one must not forget to carry a camera. 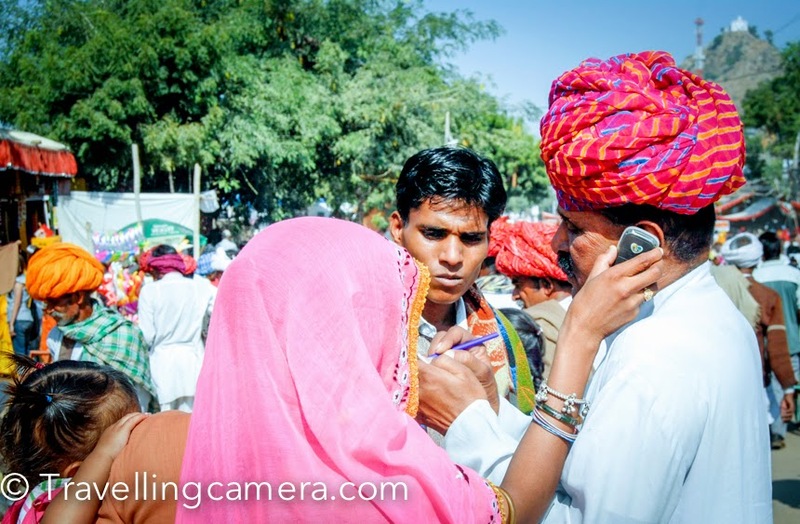 This Photo Journey shares 7-year-old photographs from Pushkar, along with some other things you can expect to experience during Pushkar Camel Fair. 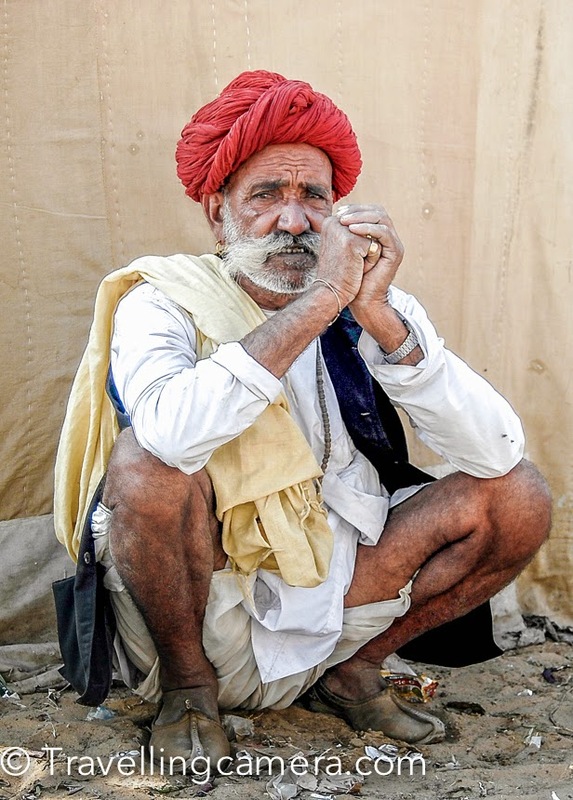 My mentor told me about the fair, although I was not sure if I could head to Pushkar that weekend. But I pushed myself and by Friday evening, I managed to wrap up my work. So I went home, packed my bag, and reached ISBT Delhi. 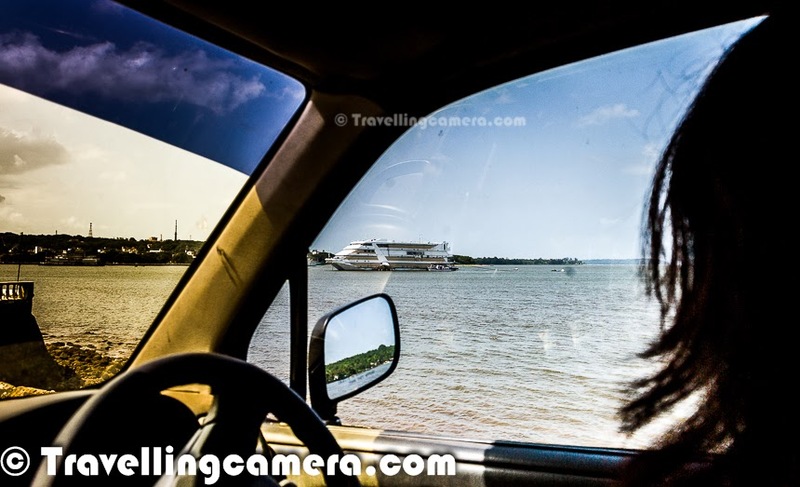 I was lucky to get a comfortable Rajasthan Road Trasport bus going from Delhi to Ajmer. It was a good ride. The bus reached Ajmer before 5am. I boarded a local bus from there and reached the Pushkar town. It was very cold in the morning, and I had to wear my jacket. I started searching for a place to stay & to keep my stuff safe for the next two days. It is recommended to make a booking in advance if you want to stay in a good hotel, otherwise you can explore smaller/cheaper options when you are there. But in 7 years, things will probably be slightly different now :). I found a nice hotel on the lakeside. There are many havelis around the lake, which have been converted into Hotels. During the fair, these hotels make special arrangements or parties on the terrace and one can enjoy special evenings with friends. The photograph above is shot from the terrace of my hotel. During my stay, I realized that many of these hotels also have dormitories. Groups from Israel & other countries often prefer to stay together and try to keep the cost to the minimum. That's how they can spend more on traveling to different parts of our country. 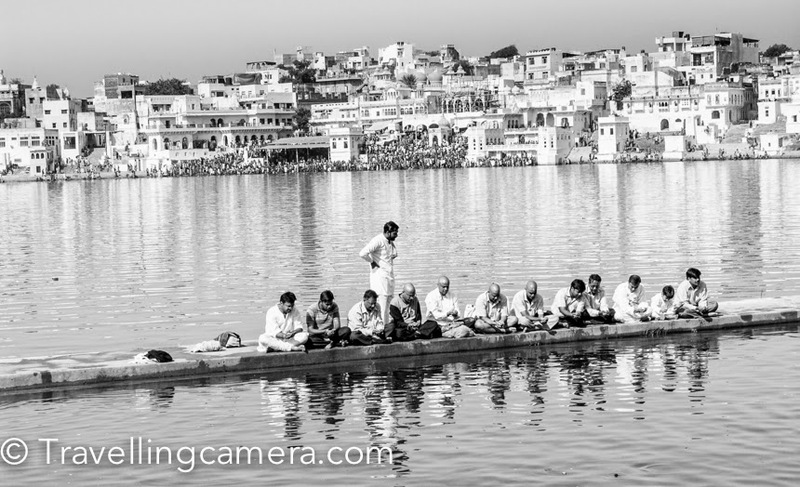 This lake in Pushkar is huge and has religious importance. 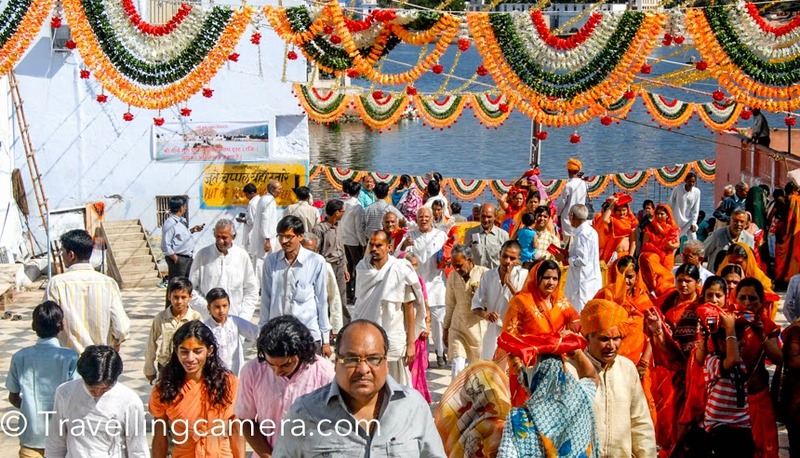 You can observe lots of religious activities happening around the ghats. 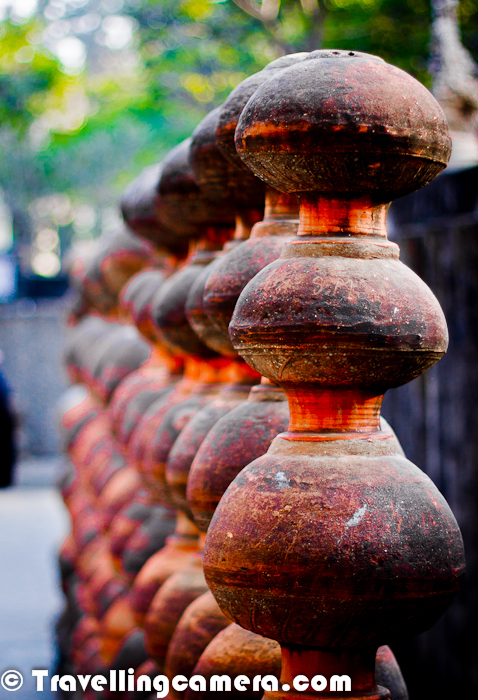 Several pandits may approach you for different types of poojas, so beware of all that. Don't indulge in any discussions with these guys, because I have seen these folks shouting at innocent folks and making them do different poojas against their wishes. 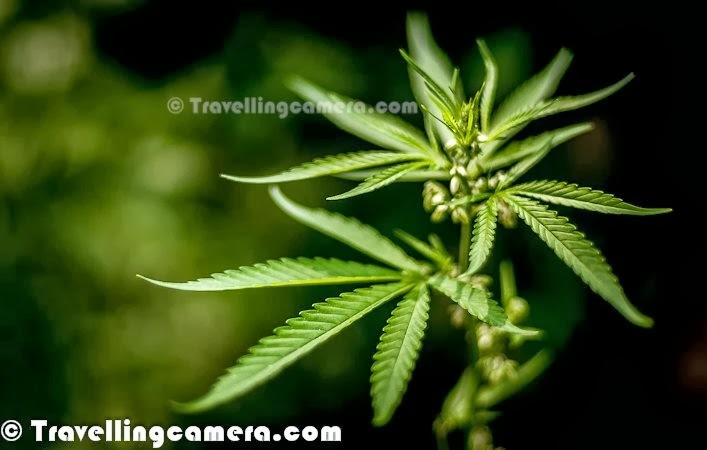 They use different means to pressurize people and, at times, tourists feel helpless. 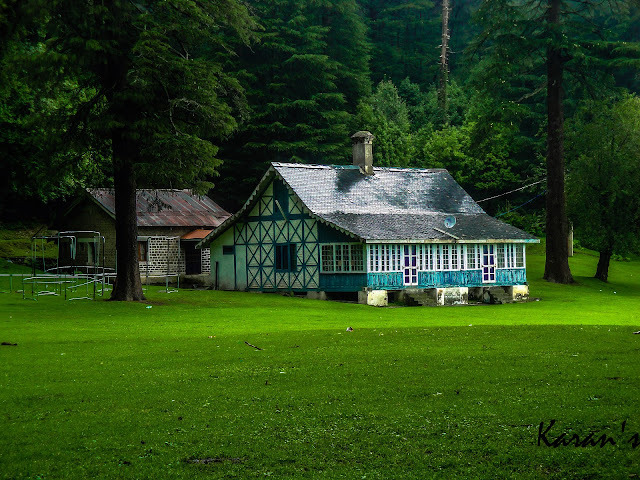 It's sad to see such activities happening at such a beautiful place, because many times foreigners too take back the memories of these bad experiences with them. I am sure that you must be wondering about the missing camels in this Photo Journey. 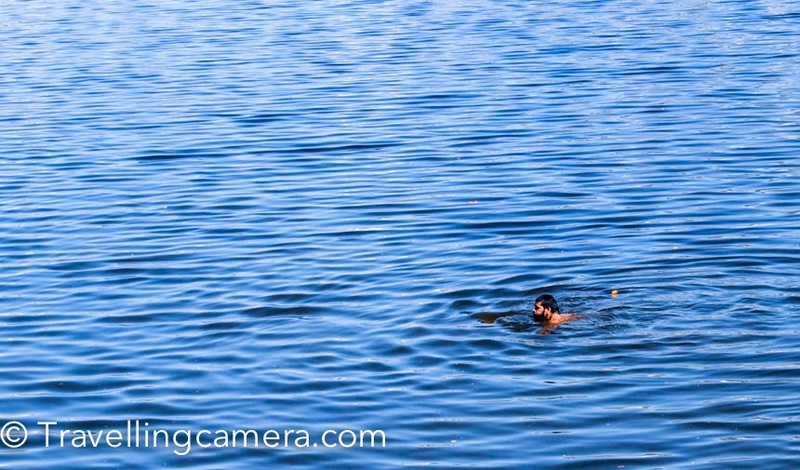 Unfortunately I lost most of my Pushkar shots in a harddisk crash, and these are from my Facebook albums and some are sourced from friends. But at Pushkar Camel Fair, you can expect lots of camels all around. 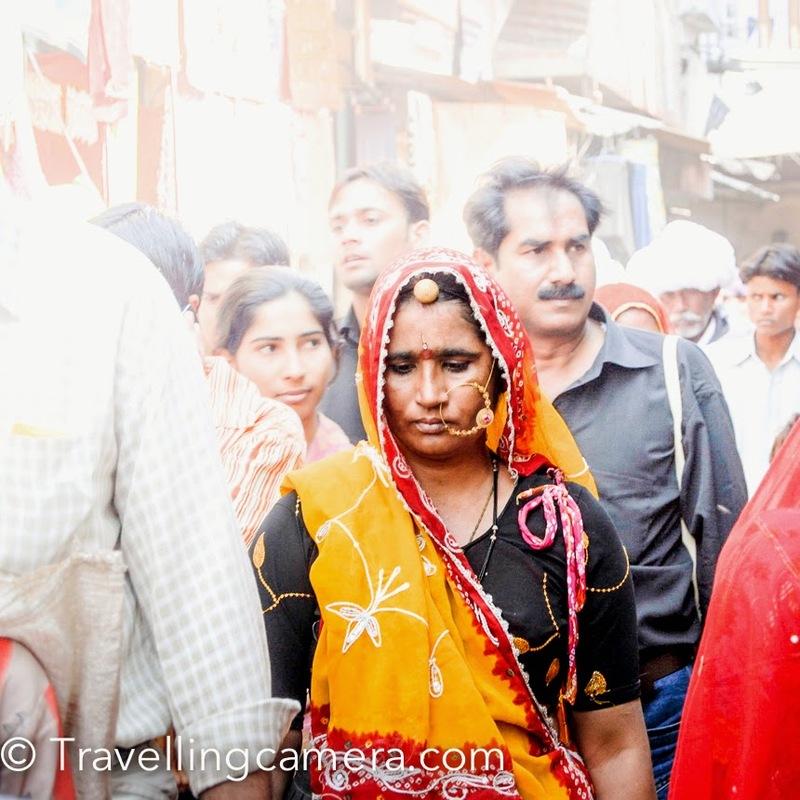 The photograph in the header of this blog is also one of the shots from Pushkar. 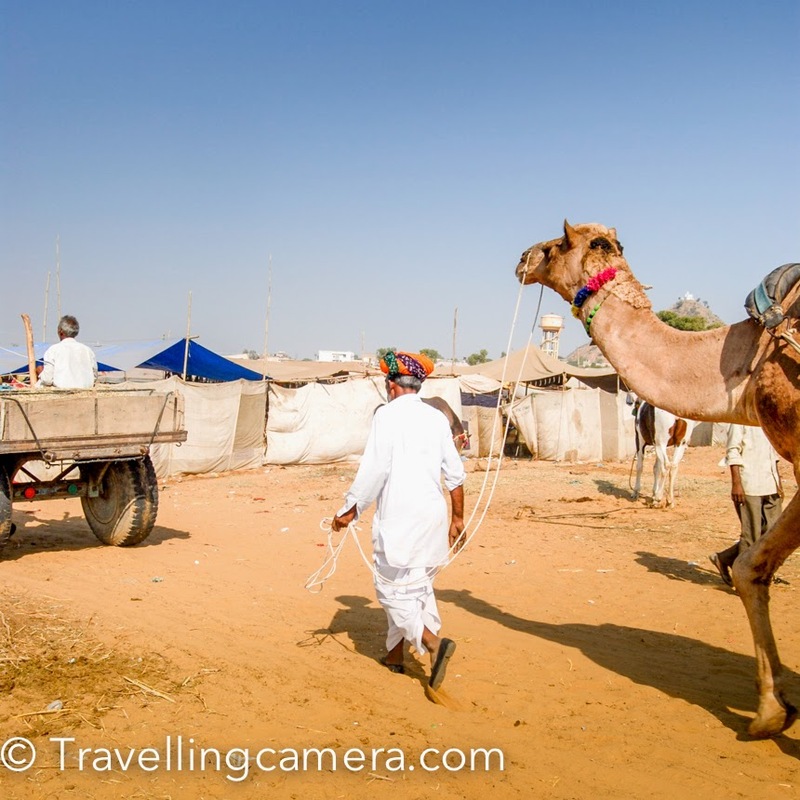 The fair happens every year in the month of October, so if you feel like visiting Pushkar Camel Fair this year, just check out the schedule and plan your visit. It is a week-long fair, so you may want to check the schedule and decide upon appropriate days to visit the Pushkar town in Rajasthan. The food at Pushkar Camel Fair is another special experience. It is really hard to find Indian food in Pushkar, except in some of the dhabas on the fair ground. Most of the restaurants in main town serve foreign cuisine. They of course charge a little more but the overall cost is still reasonable :). During the stay, make it a point to talk to local folks and try to understand more about camel trading and various other activities that take place during this fair. You will be surprised to uncover some interesting facts around the pricing of camels, types of camels, and how people bring them here etc. 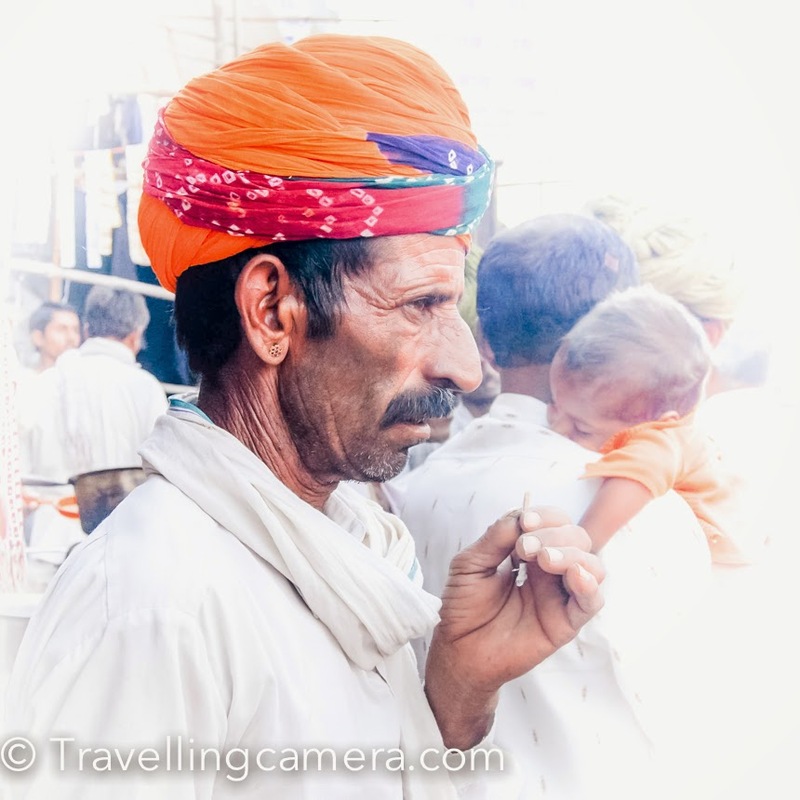 Pushkar is also a great place to capture some colorful portraits from Rajasthan. I am sure that many of you can click far better portraits than the ones that are shared on this blog. I am also trying to figure out the possibilities of visiting Pushkar Camel Fair this year. Keep me informed if any of you want to come along. Comment back. We can connect and plan together.